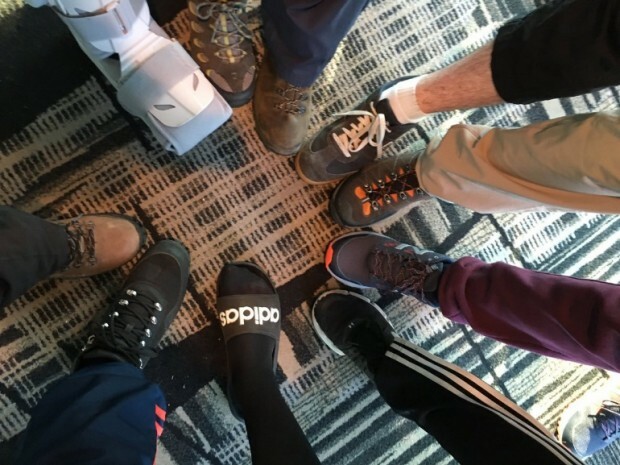 The Whitchurch Group putting their best foot forward as we set off – that’s me with the medical boot! 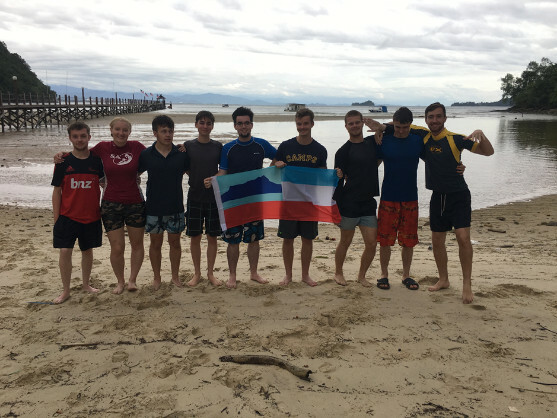 I took part in an expedition from the 18th of July to the 21st of August to Borneo. With 9 others from my school and 10 from other schools. One of the main aims of the trip for me was to be learn to thrive in a vastly different environment with different people and to experience new cultures. 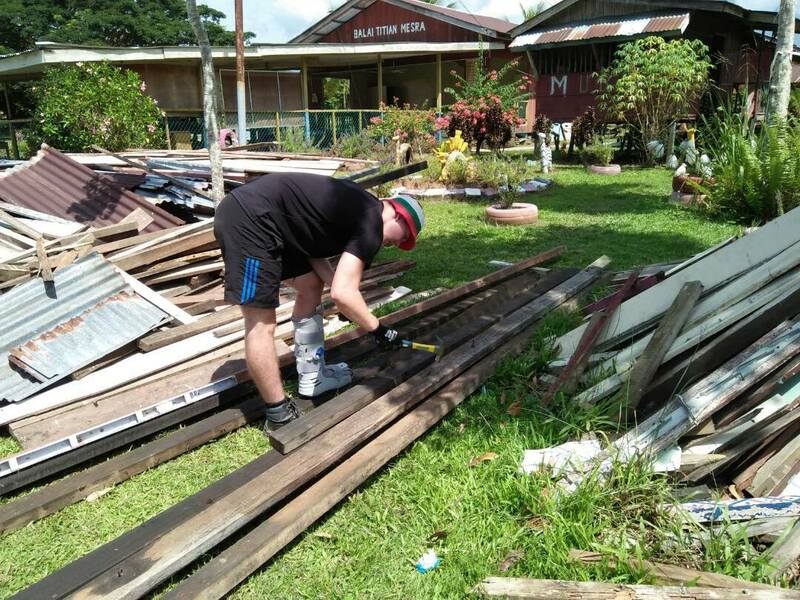 The trip also offered a lot of opportunities to help out in community projects which helped improve the living standards of people in rural parts of the Sabah region in Borneo. We also took part in conservation work in Batah Puteh which is a conservation project which works to help look after the rainforest. At the end of the trip we had the opportunity to complete the scuba diving PADI course which was a life changing experience in itself. It has really inspired me to push further and embark on other more daring expeditions. The first community we visited was camp Bonkud (Kem Bonkud in Dusun, the local dialect). Some the craft work we did was to make the local banana bread, create necklaces and bracelets and learn a little of the local languages, Malay and Dusun. I take particular interest in languages so to learn some of the local dialect as well was great fun. We did lots of cement mixing. But this wasn’t cement mixing involving a cement mixer, this was cement mixing the hard way with gravel, water and moving 50kg bags of cement (simen in Malay) in 35°C heat. This was taught to us by the great volunteers from BLESMA (ex-military amputees charity). The volunteers from BLESMA also shared their very moving stories of their experiences in the army. We helped build two volleyball courts situated close to the school (Balia Titian Mesma). We also joined in on a regular basis with the locals in a game of volleyball which we subsequently lost most of the time. However, we improved every time we played so much so we eventually beat them on the last day. My sprained ankle restricted me in work and sport at first but after a couple of weeks I was doing fine. 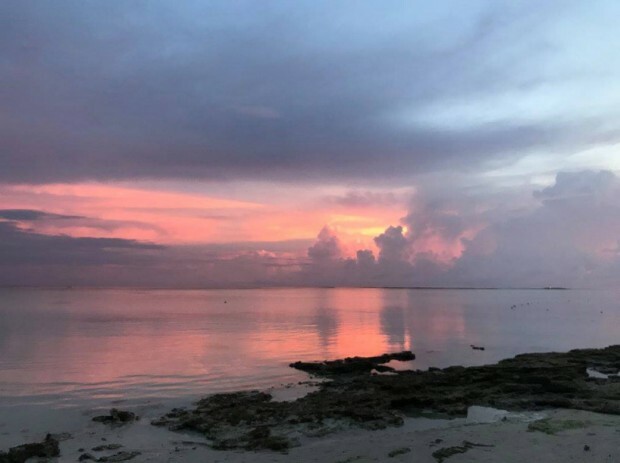 The next place we went to was Mantanani Island which is a very beautiful environment with stunning scenery and a beautiful beach. The work was relatively light in comparison to Bonkud (a welcomed relief) with lots of crafty activities such as bracelet making and making hammocks which were great fun to do. 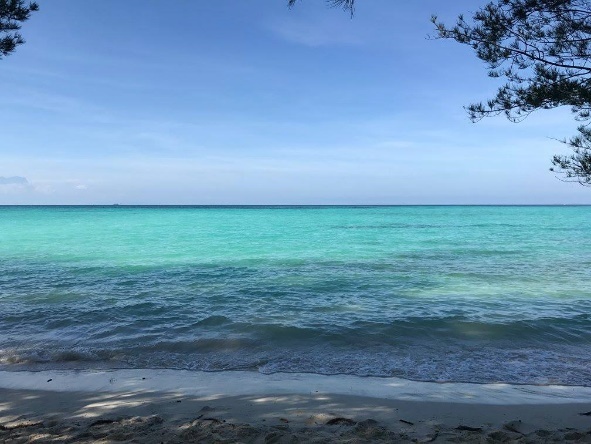 We were given a chance to swim in the clear blue sea every afternoon which was always looked forward to by everyone in our group. The pictures really don’t do the island any justice and cannot replace the experience of being there in person. The next camp we went to was Batu Puteh (the Jungle Camp.) I tend to pride myself as being an outdoorsy person but by the end of it I was glad to be out pf the jungle and have an actual flushing toilet and an actual shower. The work was very tough carrying 20kg plus bales of saplings over half a kilometre through ankle deep sticky mud. This took a lot of effort from the whole group to push through, and many of us had sores on our shoulders from the sheer pain of the bales on the shoulders. Many were taken to the clinic and couldn’t return, including our leader who was suffering from pneumonia. In total we planted roughly 500 trees. It was a testing environment which I am very honoured to experience and I think most, if not all the group, would agree. Whilst in the jungle we also went on an amazing river cruise and got to see the wide range of wildlife that lived in the rainforest; orang-utans, monkeys and alligators. This aspect of the trip will be truly cherished as it is very rare to even see an orangutan in an enclosure let alone in the wild, an opportunity for which I am very grateful. After that we went on to drive for a few nights to camp Narawang, a similar camp to Bonkud but still just as fun. 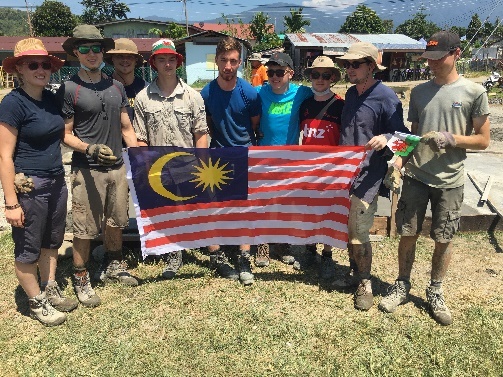 We completed a drainage system around a volley ball court and then played a friendly pre-season match with a local team that compete in the Malaysian league. Despite losing 3 -1 we were very proud of our efforts. In the evenings some of the local children came and did a traditional dance and we had the opportunity to have a go ourselves. I’m not really the type of person to get up and dance but I still enjoyed it. Our final camp was on Gaya Island which was the camp in which we completed the PADI course. A great experience all round in which I did complete despite having over 20 or so sea urchin needles in my foot and under my nails which made it incredibly painful to walk, exacerbated by the heavy kit! 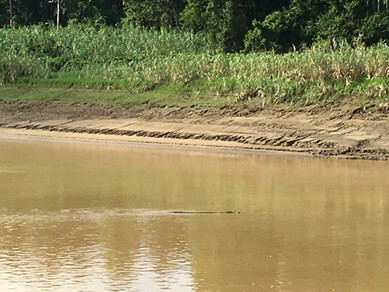 Look closely – a 4-metre crocodile which was next to our camp! We then went on to return to provincial capital, Kota Kinabalu, for our final day in Borneo. We went to a Pizza Hut which was thoroughly enjoyed by everyone and was a welcomed change from the regular portions of rice and noodles. We also had the opportunity to explore the city for a bit and in the evening also got to do some shopping in the local market which I found particularly fun as you could do some bartering and haggling. I feel the trip has definitely made me a more tolerant person among my family on the whole and I feel more confident about going on to study at university. I feel honoured to experience a different culture. It has inspired me to embark on more expeditions in the future and I am already planning for the next one. Thank you to YET for their sponsorship and to everyone else who gave me financial support or helped me fundraise.